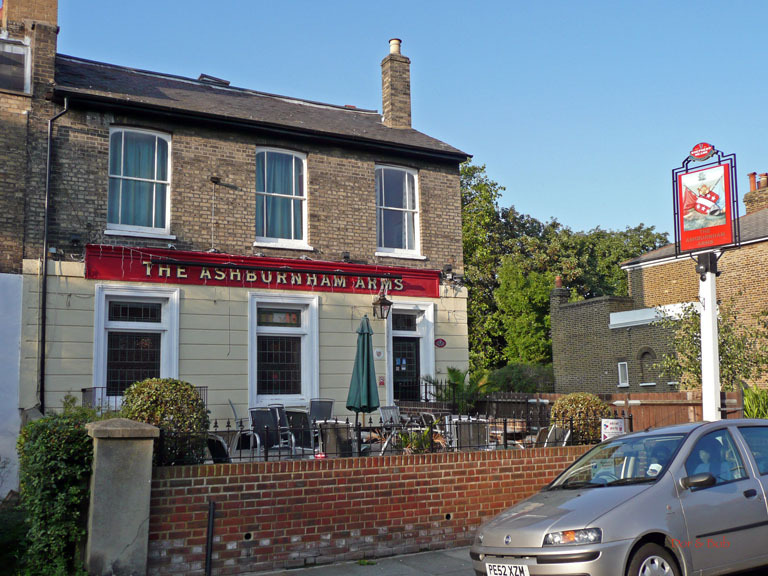 The Ashburnham Arms is a fairly small place on a quiet street in a nice neighborhood in Greenwich. 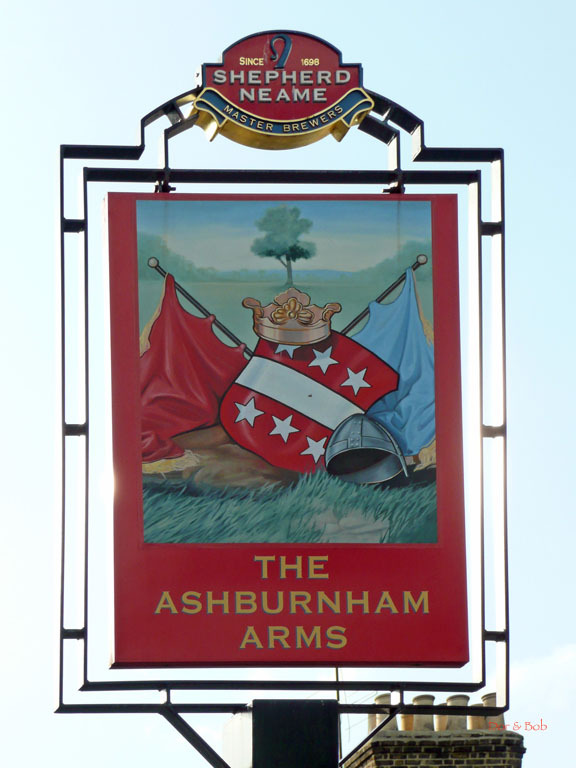 The clientele on our visit in mid-afternoon was older and there was a sedate and comfortable true pub atmosphere. The space is fairly modern/clean in its look (except for the dark wood bar). There are light colored fairly wide wood plank floors, new pine (?) light wood paneled wainscoting on the walls, and neutral colored paint above. Various padded chairs, a couch, and small tables fill the front area around the central bar. Out back is a good-sized partially covered beer garden and there is also outdoor seating on the front patio, neatly placed behind a low brick wall. The restrooms are also quite modern with sinks that are bowls above the counter and the menâ€™s and womenâ€™s only separated by a low glass brick wall. One of the most intriguing features of the pub is a modern painting towards the back on the left (screening the entrances to the toilets). Itâ€™s a map of Greenwich, including the big loop in the Thames River and is casual, modern, and in bright colors (and of course there are no streets listed). 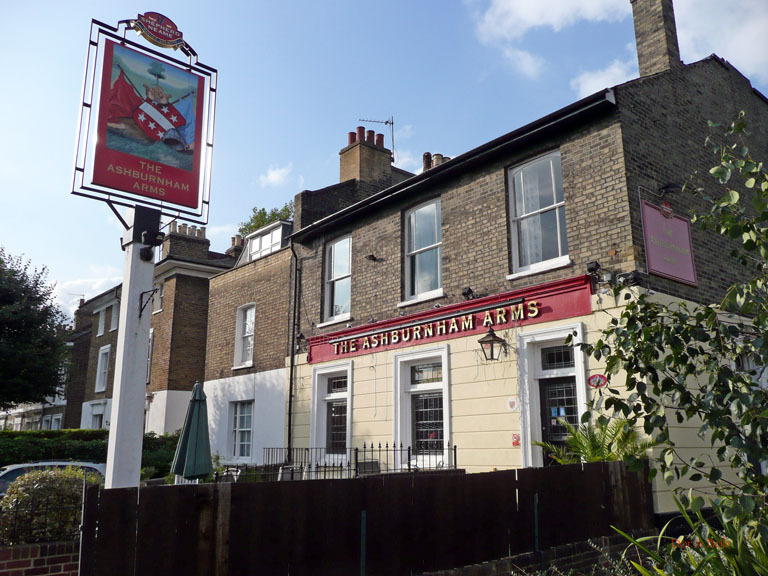 There are four Shepherd Neames real ales available. 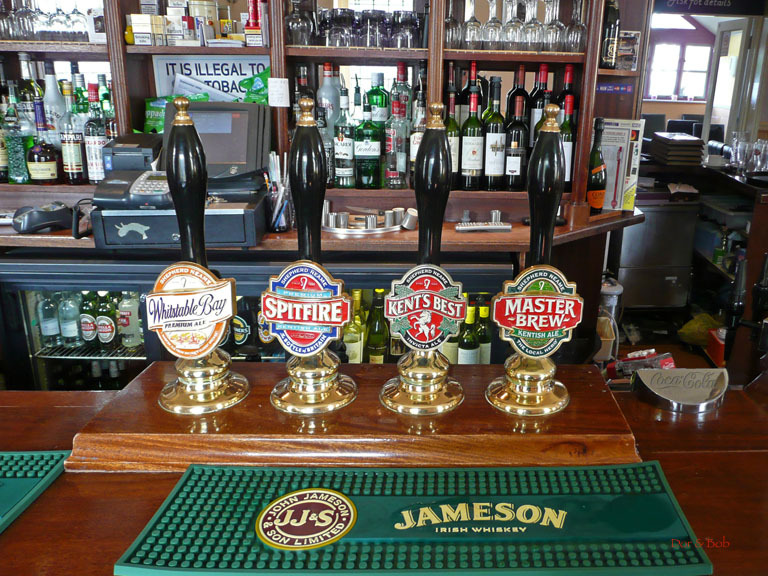 On our visit they were: Whitstable Bay (the summer beer), Spitfire, Kentâ€™s Best, and Master Brew.